Bevel-up, low-angle smoothing, jack, and jointer planes made by Lie-Nielsen and Lee Valley have 12 degree beds for their blades. This style of plane is simple to set up and especially versatile. The use of a thick blade, 3/16″ or more, supported very close to its cutting edge, and an easily adjustable throat opening contribute to effective planing. One of the most important advantages of these planes is their ability to employ blades sharpened at different angles to manage a range of woods. With the 12 degree bed, a blade sharpened with a 33 or 38 degree bevel (secondary bevel) results in a 45 or 50 degree cutting angle, respectively. Either would be a reasonable choice for general work. To get a 60 degree cutting angle for difficult figured woods, the blade needs a 48 degree bevel. The result is effective but this makes the blade more difficult to sharpen to a keen edge. Furthermore, this is a large wedge to drive through the wood. I believe this creates more resistance at the cutting edge, making the tool cut less cleanly and harder to push, even aside from the effects of the higher cutting angle. If the blade bed was 20 degrees, it would require a more manageable 40 degree blade bevel to achieve the 60 degree cutting angle. A 25 degree (perhaps in O-1 steel) or 30 degree blade bevel (giving a 45 or 50 degree cutting angle, respectively) could be used for tamer woods. Another point, minor but helpful, is that a blade bedded at 20 degrees does not require as much actual camber to achieve the same functional camber as does one bedded at 12 degrees. Explanation here. I imagine a 20 degree bed would also make the sole of the plane less prone to distortion from the pressure of the lever cap. Supporting this idea, I have not found distortion to be a problem with Lie-Nielsen’s shoulder planes with their 18 degree beds, but Lee Valley’s shoulder planes with their 15 degree beds have been a problem for me, even with rather gentle tightening of the lever cap. The 3 degrees seems to make a difference. Considering other bevel-up planes, the fabulous Lie-Nielsen #9 “iron miter plane,” which I use for shooting end grain as well as long grain, has a 20 degree bed. Block planes come in 12 and 20 degree beds. The 20 degree tools seem to work just fine on long grain. Karl Holtey’s #98 Smoother has a 22.5 degree bed, and Philip Marcou’s S20A, which is designed to use standard Veritas blades, has a 20 degree bed. I’ve never used the Holtey or Marcou but I can’t imagine they are anything less than wonderful. I also do not think cutting end grain is good justification for the 12 degree beds on the smoothing, jack, and jointer planes. I do not think end grain requires a 12 degree blade bed and I am skeptical of even an advantage over a 20 degree bed. Indeed, my Lie-Nielsen shoulder plane at 18 degrees works beautifully on end grain. I own the Veritas bevel-up, low angle smoother and jack and have used the Lie-Nielsen bevel up planes. 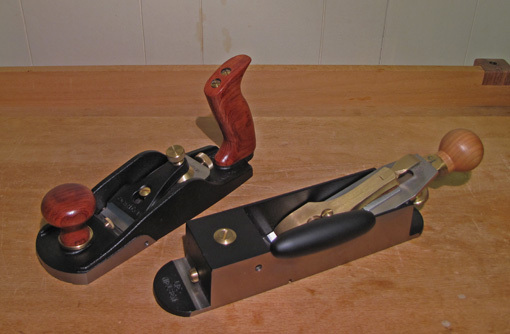 While their features differ, both makers produce superb planes. It is the 12 degree bed that I question. I am a plane user, not a plane maker, and certainly have room to learn more. I wonder if any of these makers would care to comment on this issue. sharpening a keen edge on high-angle grinds does have the issue you mention. It seems to me that nearing 55 to 60 degrees (bevel up or bevel down) you are getting closer to scraping than cutting. We could almost get into a western saw versus eastern saw debate – is it better to cut with a push stroke or a pull stroke. Instead of trying to push a fat wedge through the wood just tilt it over and pull it across the wood. Lie-Nielsen even recommends that blades for their scraper planes be “sharpened like a plane blade.” Their scraper plane blades are being pulled across the wood instead of being driven into the wood. At those angles it makes more sense to me to scrape than to cut. (Another caveat: 50 degrees is the highest angle that I’ve ever worked with a plane. If that doesn’t get the job done I go to a scraper). Like you, I’d love to hear from the experts. You are on the ball with your information on the advantages of bevel up planes and I would just add that I think a forty degree honing bevel is about the limit . I have had it in mind to make a bevel up smoother with bed at 25 degrees instead of 20 degrees, but so far haven’t done it. 1)I think that this angle is favoured because it is about the lowest one can go that allows sufficient blade clearance , although I think the type of wood can influence this : some timbers will allow a lower angle of 10 degrees whilst others may not be happy at 12 degrees. But it is instructive to note that the traditional makers of yore stuck on 12 degrees, but I would like to see what they would do nowadays when folk are using a variety of timbers not used in those days. 2)The 12 degree angle produces a long ramp which can be frail on the one hand, but on the other hand is supportive of more blade area. If the plane is not well engineered distortion is encouraged by this low angle and is amplified by any inaccuracies in the manufacture of the plane. So I think that a good mitre plane bedded at 12 degrees needs to be beefy, with thick sides and sole, and the engineering needs to be of a relatively high degree of accuracy. Take a look at my M12 -I have purposefully made a heavy very rigid plane: in fact the body is like a box. 3)I do think that end grain, especially of hard dense woods, is easier to cut with a 12 degree bedded plane because this format produces the lowest cutting angle-but the plane needs to be suitably engineered, with a blade made from suitable steel ie one that is tough enough . Having said that, I must also say that until recently, I have always planed end grain of timbers like Iroko, Chamfuta, PNG Rosewood, Teak and others using a Record #5 1/2 jack plane, with little bother other than the need to sharpen more often-see , that plane is comparatively heavy, with a longish toe…. 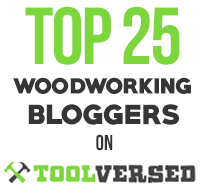 I am taking the liberty of forwarding this correspondence to my good friend Fred West, at TalkFesTool, who may contact you, as he has several of my planes and is very supportive. I will also be coming to the States in October, to exhibit my planes at the Woodworking in America show in Cincinnati , along with Fred and a few customers too. I hope this has been of some value. I normally stay out of discussions as I don’t have the time. However, since I have been asked for my comments on low angle planes by Rob Porcaro I am happy to oblige. From the beginning when I first started making infill planes my research brought me across various planes of all kinds which I don’t normally have that much interest in. One non infill plane that did catch my attention was the Stanley 164. This plane is of a very low angle and without checking back on any reference I think it is 12 degrees. I think it is a stunning plane and loved it for the sheer sight of it. I was fortunate enough to borrow one of these planes (they are quite rare and valuable) to take measurements and draw it up. An angle of this kind is only suitable for end grain work and is often referred to by tradesmen as a butcher’s block plane. The only criticism I had for this tool as that the casting was extremely light and flexible. It wasn’t until a few years later, whilst exhibiting at Munich Expo 1998 and demonstrating my planes I found that I preferred my No 11 mitre plane which has a 22 ½ degree bed. It just seemed to be working better than any other smoother for finishing applications. In fact the results I was getting were quite stunning. Perhaps I should mention here that the blade that I had in this mitre plane was the first batch of my A2 blades, I was probably the first to use A2 blades commercially in a hand plane. With the idea of putting a rear tote on this plane the picture of the Stanley 164 came immediately to mind. This is where my No 98 plane was born (1998 at Munich). The No 98 plane is a 164 with a bigger bed angle and a more rigid plane. It was an instant success and as far as I can ascertain there was no one else using a low angled plane as a smoother at that time. Coming back to the subject in question of low angle planes, the wood you are planing only sees the common angle. This idea of the blade having better support on a bevel up application doesn’t make much sense as the diminishing thickness of the bed, usually mild steel or cast iron, would have no strength as it gets closer to its apex. I prefer to work with honing angles on a blade of 30 to 35 degrees. The lower the angle the edge may be sharper but less stable. The steeper the angle there is not such a keen edge but more stability. Whichever you choose is a trade off. In summary I feel that there is no difference in performance between bevel up and bevel down. It just changes the shape of the plane, it depends what the user prefers. My No 982 plane, which is a little heavier than the No 98 and is bevel down and this provides more room for the tote and your hand. I am sorry to disappoint anybody for the simplicity of my comments, which you probably already know. Slightly off topic, but you mention higher cutting angle planes being harder to use, so it’s slightly on topic as well :). I think one important reason that many feel a high angle (55 to 60 degree) plane is so hard to push (regardless if bevel up or down) has to do with the blade width. It seems like today, smoothers are getting wider and wider. The #4 and #4½ are probably the most popular of the smoothers. The iron width on a #4 is 2″ wide, while the #4½ has a 2-3/8″ wide iron. In comparison, most old wooden smooth planes that were made in the days when you could buy them with different bed angles (18th to early 19th century) had irons in the 1-1/2″ to 1-3/4″ width, and were much shorter in length as well (6 to 7½”, compared to the 9 to 10″ of the #4 & #4½ respectively). The dimensions actually compared more to the modern #2 or #3 than they do to the #4 or #4½. These smaller versions would be much easier to use with these higher bed angles. It wasn’t until mid to late 19th century, when we see industrialization taking over and planes being made in factories, that they start to resemble the sizes we are used to seeing today. Wooden smoothers from later in the 19th century are only offered in a 45 degree bed angle (as did all the other planes), they got a little wider, slightly longer, and the higher bed angle models disappeared. I think this had a lot to do with the users at the time. During this time, planes were needed less and less by furniture makers as furniture was beginning to come from more industrialized factories. Instead, it was the finish carpenters that were using them. Since they would typically work with softer woods in wider widths, the wider, longer planes made sense. The bed angles didn’t matter as much as they weren’t as concerned with working figured furniture woods, they were working construction timbers. Today, we’re back to working furniture woods with our hand planes, and we’re rediscovering the benefits of a higher cutting angle for figured woods (again, bevel down or up makes no difference), but we’re still holding on to the wider, longer smoothers. I think smaller smooth planes will get more popular again once the benefits are again realized (I think I see this starting to happen), but it may take some time. Bob is probably right. I use a wooden smoother with a 50 degree bed and a 1 1/2 inch blade and it’s easy to use, even on rock maple. Of course you can also reduce the effective width of a wide blade just by turning the plane slightly. That also reduces the effective length of the plane but As Karl noted, there’s always a trade-off. I know this if off the topic of the original question, however since this was addressed in one of the replies I thought I would address the effect plane pitch has to iron width and how that relates. Iron width to plane mass ratios is a much overlooked area of plane design and is not often considered by persons buying planes. Many seem to think that the ultimate smoother would be some version of a 4 1/2 with a 55 degree pitch. In most cases this would be similar to driving an underpowered automobile. A plane with sufficient mass to push a 2.25 to 2.375 wide iron at 45 degrees may not be suited to push a wide iron at 55 degrees and therefore transfers the effort required to the user. Skewing the plane to reduce the resistance is not a good option in this instance especially if the material being planed is challenging enough that you’ve felt the need to resort to the steeper pitched plane. This is the major difference between planes made individually and manufactured planes. When one makes a plane for a given individual then these factors are easier to address and I often will recommend that the customer opt for a plane with a iron of less width when requesting a plane pitched at 55 degrees. A full size smoothing plane pitched at 55 degrees and using a 2″ wide iron will not feel much different than a 50 degree plane using a 2.25″ wide iron, yet the benefits of the higher pitch are achieved in a plane that actually assist with the work. As I’ve always stated, mass for the sake of mass if not a good thing. There is a point of diminishing returns and the goal is to provide sufficient mass with good balance. 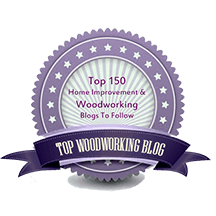 Many also have the idea that the wider plane will help them complete work at a faster rate when in fact the wider foot print of the tool could actually keep them from getting to the lowest point on the board while performing the final smoothing on a panel or other furniture part. In reality the wider smoothing plane will mean the prior work with the jointer will have to be performed to a more complete state in order for one to truly benefit from the extra wide smoothing plane. This of course means that the work required with larger heavier tools is extended in duration, when in fact the person performing the task could have switched to the narrower smoothing plane at an earlier interval and most probably could complete his final smoothing in less time with a plane of less width. While some of the commentary is tangential, I think all of it is interesting and worthwhile. My point is simply that a 20 degree bed makes more sense than a 12 degree bed for a low-angle, bevel-up bench plane. Much of the merit of LA-BU planes is their ability to conveniently accommodate blades honed to a variety of bevel angles, particularly to make high cutting angles for planing difficult woods. I believe it makes more sense to achieve the high cutting angles with a 20 degree bed than a 12 degree bed, primarily since the latter involves blade bevels often well over 40 degrees, which I think poses significant difficulties in blade preparation and performance. The cutting angle itself is not what I consider to be the problem. On the contrary, that is the advantage that I would like to preserve without the 40+ degree honing angles. I cited Philip’s S20A and Karl’s #98 as examples of 20 and 22.5 bed angles, respectively. And, again, I don’t think 12 degree beds are justified for a LA-BU BENCH PLANE by their supposed advantage in planing end grain. I cited the excellent end grain shooting performance of the L-N#9 (20 deg bed) and shoulder planes (18 deg beds) in support of this. I just watched an interesting video featuring Deneb Puchalski of Lie-Nielsen. He discusses the importance of different cutting angles for different woods. He notes that low angle bevel up blades can be sharpened to 90 degrees for scraping, but acknowledges the difficulty of sharpening a blade angle over 60 degrees. That limits the practical high cutting angle of a 12 degree bevel up plane to about 70 degrees. That is pretty remarkable. It makes me like the bevel up planes even more. I really like the low angle planes for general use in softwoods but I think I’ve been too conservative limiting myself to a 50 degrees in harder woods. I think I’ll buy some new blades and try some higher angles. Sorry, no mention of a 55 degree frog for the number 4.